Helping more than 6,000 clients to start their online business, we will be more than happy to help you too. Hello there, first of all, thanks for purchasing Dot. Please take the time to read through the documentation, as many support related questions can be answered simply by re-reading these instructions. We will be happy to help you tweak the theme but just for small ones. For more advanced customizations, contact us for paid customizations. You need to extract the dot-blog-pro.zip file. The folder name will be “dot-blog-pro“. You can upload it directly to your host via FTP in /wp-content/themes. 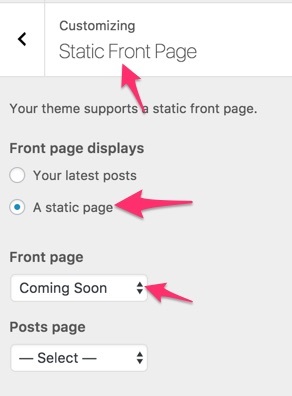 Then you can simply activate Dot Blog Pro as you would activate every other WordPress theme at Appearance -> Themes. 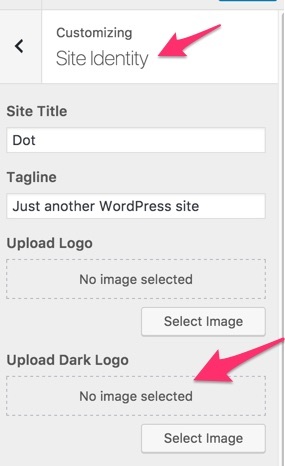 Also, you can use “dot-blog-pro.zip” file in WordPress theme uploader section in order to install the theme via WordPress directly. Dot comes with two navigation menu locations, topbar and header (main). First, You need to register the menu. 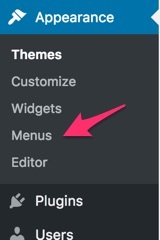 To register the navigation menu, go to appearance -> menus from the dashboard left sidebar. As you see, we need to check “Main Navigation” box to enable the main navigation. Now you can add your menu items to the site header by drag-n-dropping pages. You can easily repeat the previous steps to create your next navigation menu for top bar area. The only difference is checking “Top Bar Navigation” box after saving your new menu. As you see, there are a few options that helps you customize the default settings. 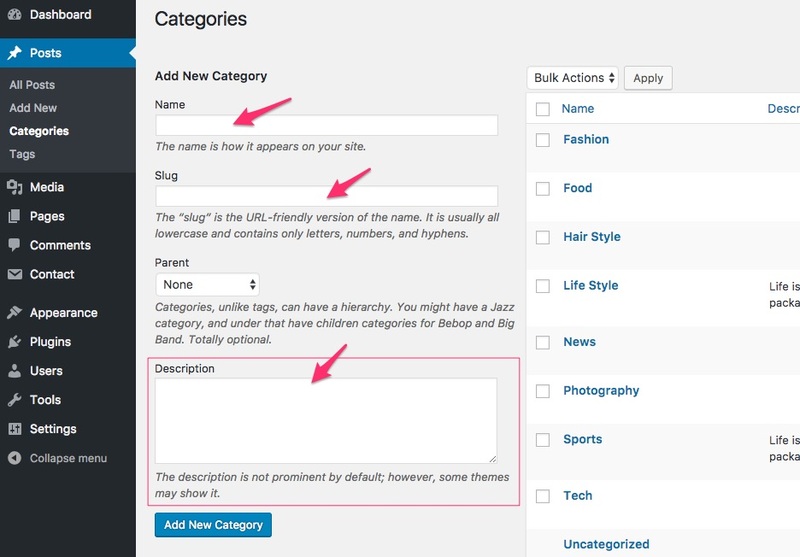 First of all, you need to select a category to populate the slider with your desired posts. 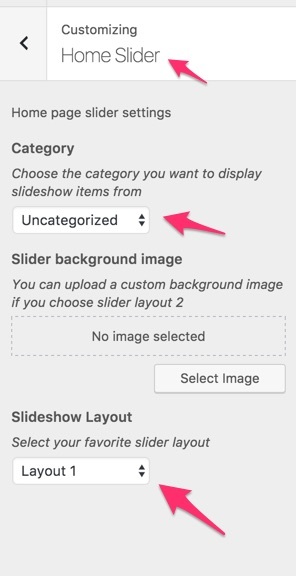 Also, you can select your slider design version from “Slideshow Layout” Options. Dot, comes with 2 different header layouts. You can choose your favorite in Appearance > Customize > General Options. One of header layouts need a dark version of your logo. You should upload it in Appearance > Customize > Site Identity. In this section we will take a look at the general options of the theme. There is no need to explain each section because each section comes with a clear description. You can find general options in Appearance > Customize > General Options. Here under this option, you can choose your desired post layout for homepage. You have 3 different styles for post box. 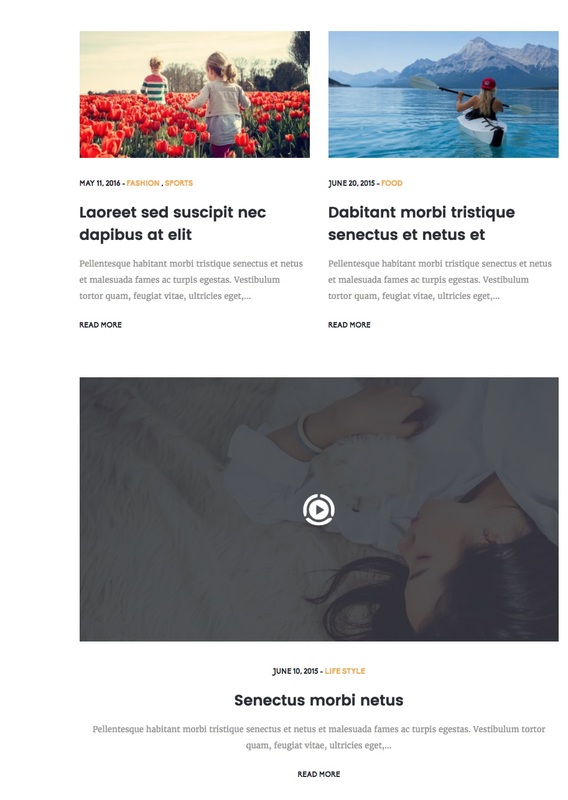 There are also 2 different single post page layouts which you can choose from here. 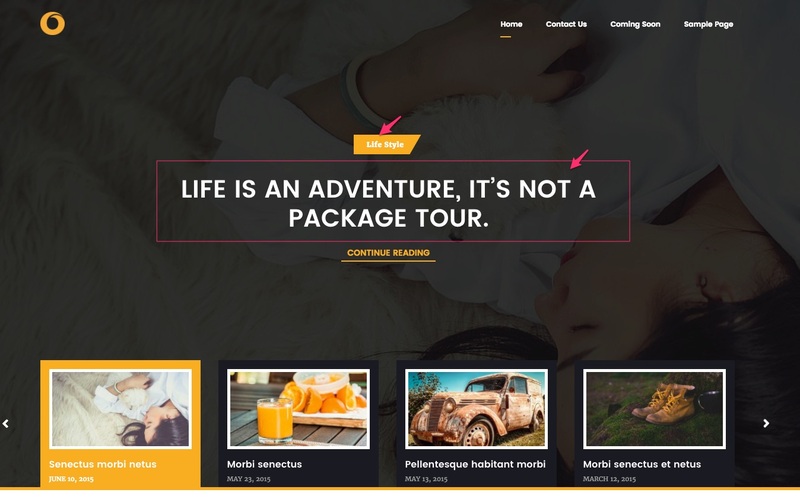 There are some options that allow you customize your theme such as: chaning homepage post layout, sidebar alignment, single page layout, single page header background, pagination, coming soon settings, etc. If you need a coming soon template with a specific launch time counter, Dot offers a template for that. You can use it until your site gets ready to launch. Create a page and name it whatever you like. 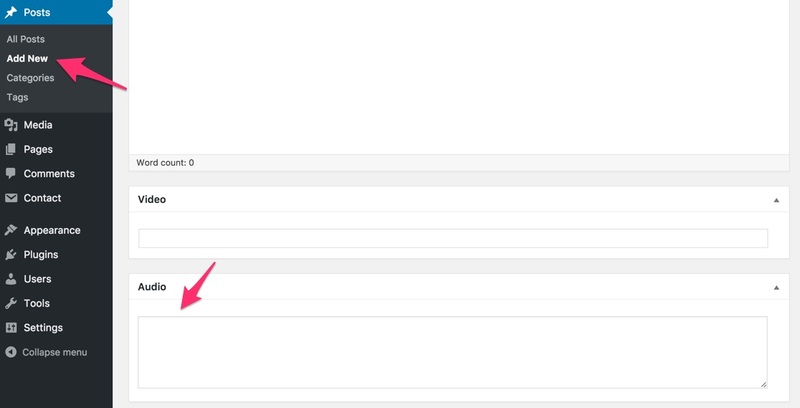 From the right sidebar, Page Attributes box, select Coming Soon from available templates. Now publish the page. Now you need to mark this newly created page as a static front page. Go to Appearance > Customize > Static Front Page and select A static page option. Now from Front Page list, select your coming soon template page. 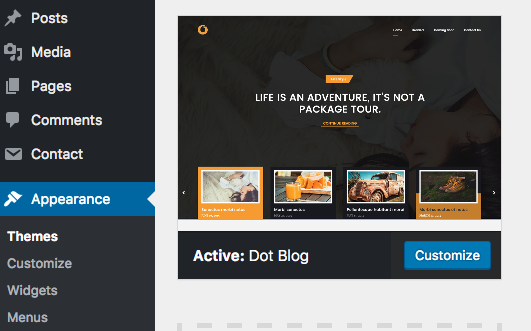 Dot Blog uses Contact Form 7 Plugin for the contact page. Once you activated the theme, you will get a notification message for installing/activating contact form 7 plugin. Follow the instruction and make sure you have the plugin activated. Now we should create a contact form 7 shortcode for our contact page. As our demo contact form has a little different demo, if you want to make your form exactly like our demo, you can use the following HTML code in WordPress > Cotact > Add New in the form text area. 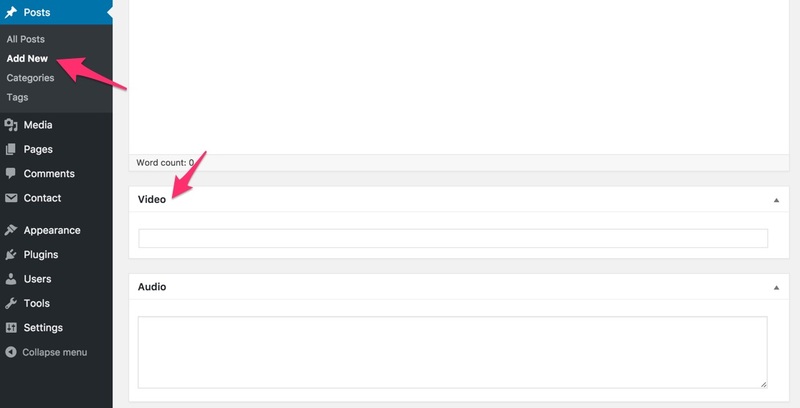 Once you saved your form, you will get a shortcode to copy in your contact page. So copy the shortcode, and paste it in a new page which is going to hold your contact form. You can also get the same resutl by importing the demo content as explained in a separate section. 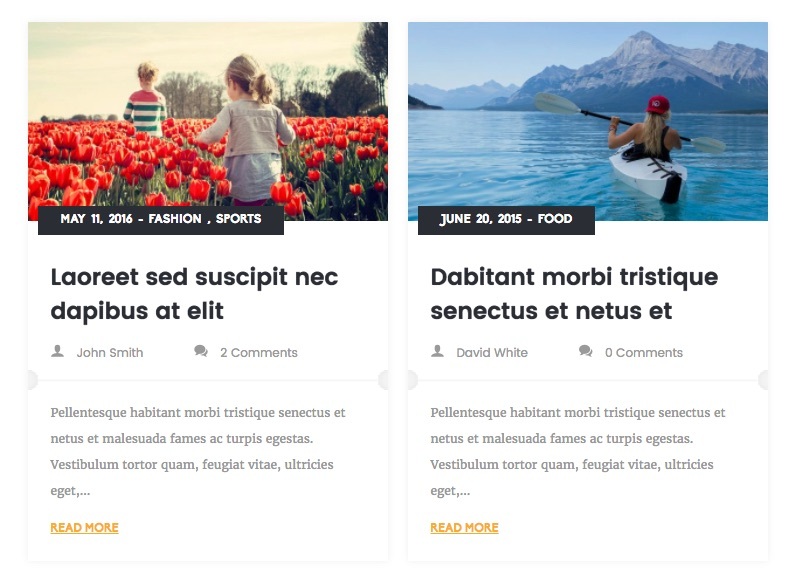 Dot supports five post formats: Standard, Gallery, Video, Quote, and Audio. You can paste the audio file code from soundcloud or other similar sites in the box considered for this post format. You can embed video from youtube, vime, etch (powered by oEmbed) into the box considered for video post format. 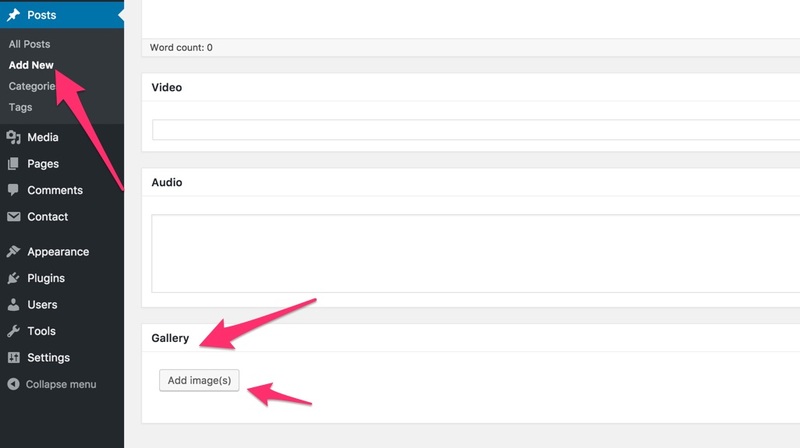 If you choose gallery post format, you can use the gallery option to upload multiple images for your post. While creating a new post, scroll down to find Gallery meta box. Click the Add Image(s) button and upload your gallery items. 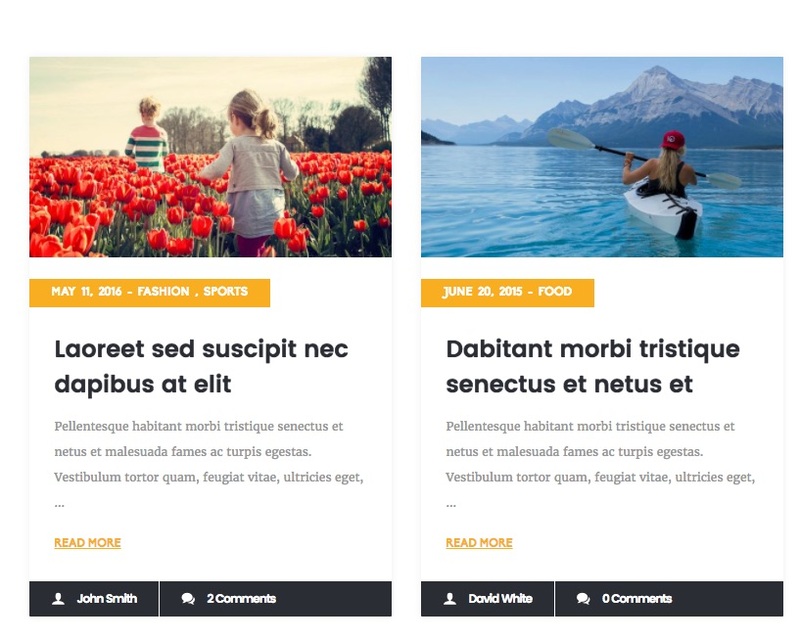 There are 6 different widgetized sidebars where you can put your widgets in. If you don’t place widget in specific ones, the general one will be shown on sidebar. There are also 4 sidebars for footer. 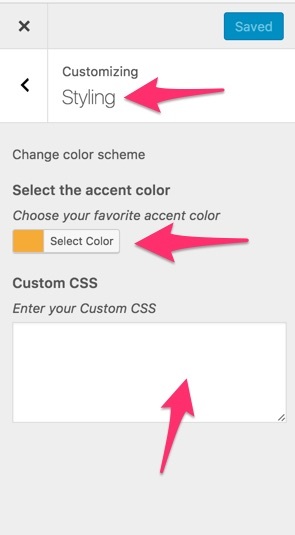 As you see you can change the accent color as well as apply custom css style for your minor css modifications. 2. Navigate to Tools > Import. 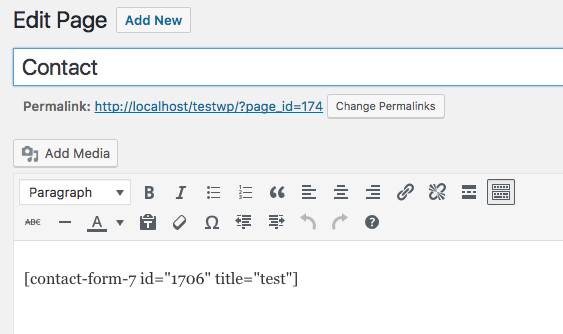 Click on WordPress from the given list. If you haven’t installed the WordPress Importer plugin, a window will be shown directing you to install it. Now you will be redirected to the page where you can choose the demo data file. Choose dot_demo_data.xml from the downloaded package under Demo Data and click “Upload File and Import”. If you’ve checked “download and import file attachments”, it will take a few minutes to import the data. 1. Install Widget Importer & Exporter plugin from WordPress plugin repository.